My research resides at the intersection of rhetorical theory, digital composition, and new materialism. Although the sites of my scholarship are diverse, they are united by the disciplinary practice of viewing phenomena--whether cultural, environmental, or digital--through the lens of rhetoric. This project arose from three surprisingly-intertwined experiences: working as a technical writer, designing the online composition curriculum at IU, and writing a dissertation about rhetorical theory. This article contends that, while user experience (UX) testing can help instructors improve the design of online writing instruction (OWI), UX's emphasis on student-users sometimes overlooks the networked rhetorical ecologies in which those student-users operate. This, in turn, risks tilting online composition pedagogy toward neoliberal models of higher education that cater to the student-as-consumer. In response, I propose augmenting usability testing in online writing education with theories of digital rhetoric that view educational interfaces as dynamic and interactive sites of rhetorical exchange. 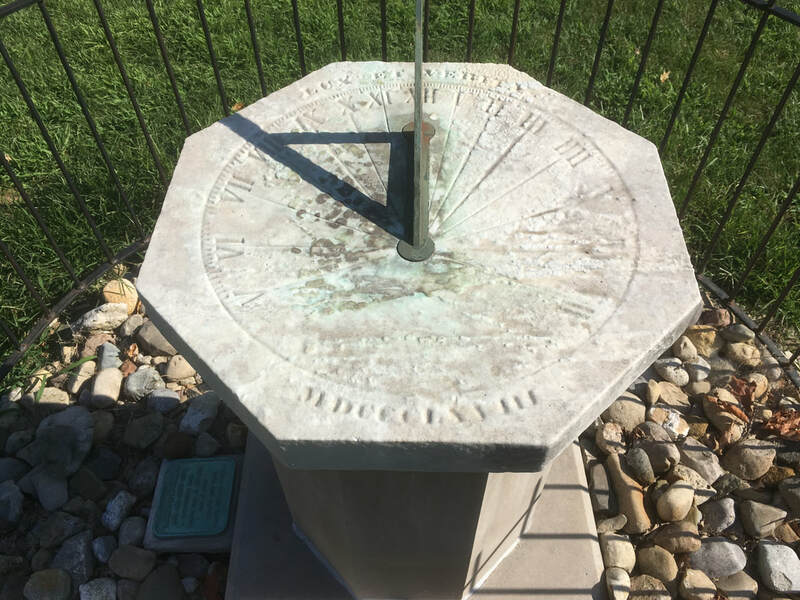 Click the image of a sundial below to read my dissertation abstract, including a chapter-by-chapter summary. "Chronologies of Character" develops a theoretical framework for better understanding how rhetoric unfolds over time. While kairos helps rhetors analyze and deploy persuasive strategies that appropriately respond to the shifting exigencies of a particular moment, such a narrow temporal focus on “right timing” overlooks the important ways that suasive forces also accrete from one rhetorical encounter to the next. To attend to this cumulative rhetorical energy, I examine how the ancient Greek idea of chronos can augment rhetorical notions of time and function as a companion concept to kairos. Chronos, I contend, also foregrounds the role of nonhuman actants in rhetorical ecologies, acknowledging the deep relationality from which rhetorical temporalities emerge. Such a chronos-based sense of time, moreover, provides an improved structure for comprehending the rhetorical concept of ethos, which—unlike other persuasive strategies that may be selectively deployed—is always present in rhetorical encounters. Figured through the lens of chronos, this “cumulative ethos” becomes a decentralized and emergent force: it evolves across digital media platforms and imprints itself on human and nonhuman interactions, accruing strength and speed over time. ​Born out of my dissertation research which questions the primacy of kairotic time in rhetorical theory, my presentation, "The (Re)Making of Kanye West's Ethos," demonstrates how Kanye West’s digital ethos accretes over time in rhetorically significant ways. My experiences designing and teaching the Online Composition course at IU led me to become a Founding Member of the Global Society of Online Literacy Educators (GSOLE). I also serve as a section editor for their born-digital, peer-reviewed journal: Research in Online Literacy Education (ROLE). Check out our inaugural issue, released in January 2018. I was drawn to the HASTAC community while investigating the idea of "cumulative ethos" in digital media for my dissertation. As a HASTAC Scholar at IU, I am part of a competitively-selected international network of scholars dedicated to digital research methods and pedagogies. I am particularly interested in considering the stakes and assumptions of digital research methodologies. While researching the theories of new materialism for my dissertation, I founded the interdisciplinary IU Posthumanism Reading Group in 2018. Our meetings are dedicated exploring the relationship between subjects, objects, quasi-objects, things, matter, materiality, substance, subjectivity, being, and ecologies.